Hello from Masindi, Uganda! After getting the car loaded in Kampala, we started to head down the lane when one of the other guests, a pediatrician from the UK, ran down the hill to catch us before we left. She had just been escorted from town where she was walking by a police officer who said it wasn’t safe for her to be out because of a recent threat against the U.S. Embassy by Muslims angered by the recent video. The threat was against Americans but pretty much any white person (or “muzungo” as they say in Uganda) would probably be presumed an American and at risk. Since we don’t have regular access to WiFi, we didn’t yet get the email from the Dept of State about the warning. 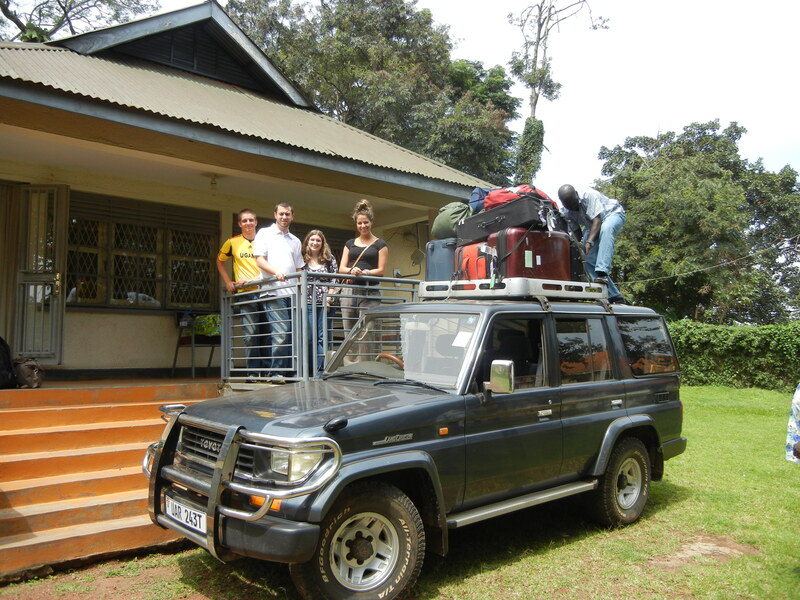 Fortunately, the car was already loaded with fuel and we were headed in the opposite direction and came across no troubles as we left Kampala. When I could get up my computer we were able to see the warning and also saw that Kampala was able to mobilize police forces ahead of potential riots and was ready. Again, though, we were headed in the opposite direction and although the warning is a general one for all of Uganda, our driver assured us that Masindi is mostly Christian with very few Muslims. Also, we know it is not all Muslims that hate Americans and hopefully they realize that the video is definitely not the viewpoint of most Americans. We arrived safe and sound yesterday evening around 6:30pm. The sun was already setting and our rooms were a little dark. When we switched the light on, no light appeared. As I mentioned in my previous post, the electricity is still off in Masindi and the New Court View generator doesn’t go on until 7pm and then remains on until 11pm. Darkness was easily overcome by our flashlights, which should definitely be part of the packing list, and when the generator started, it also brought WiFi. Yea! Having internet access at our hotel, even if for just a short time, will be an added benefit because in Kampala, we had to go to dinner to find WiFi so the students and I can receive email on our smart phones and iPads. We had a nice meal at the Court View and all when to bed early. 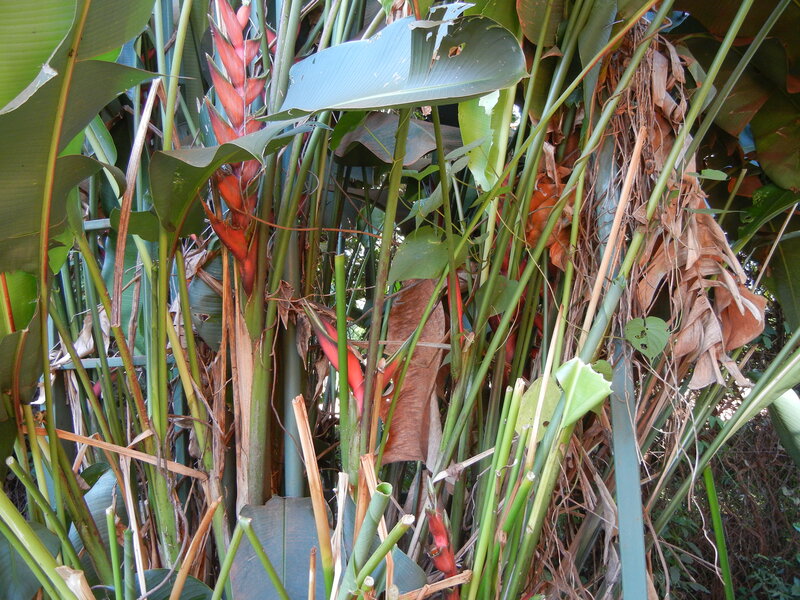 This morning it is bright and sunny; there is a bush with light orange flowers out one of my windows and a palm-like plant with some red “flowers/leaves” out my other window. 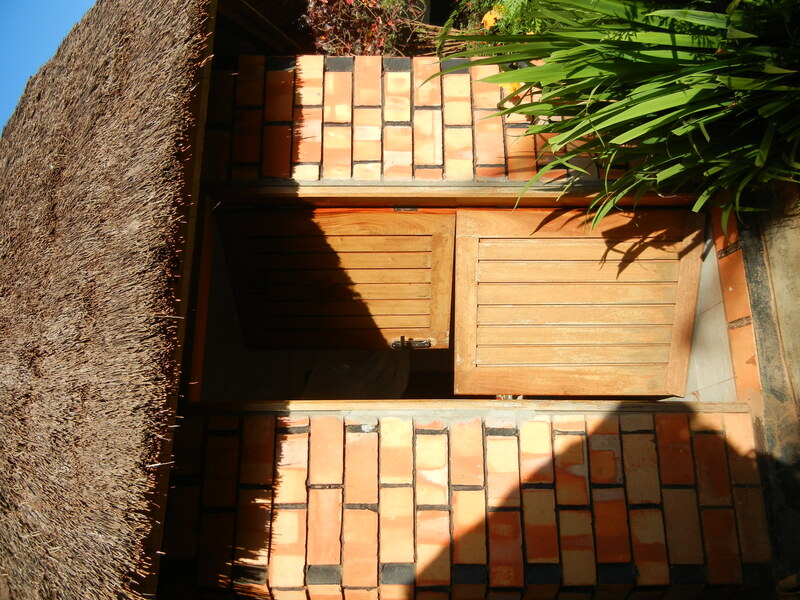 Each room is a cozy little cottage and contains a bed and a bathroom with shower. Of course mosquito nets are provided and it will be important for us to use them properly as well as apply bug spray and continue to take our anti-malarials while in this rural area. Kampala is a large city with lots of development and the incidence of malaria is actually fairly low. But, in Masindi, malaria is very common so we will be sure to adhere to precautions. Today we are off to the Rhino Sanctuary to track the White Rhino. 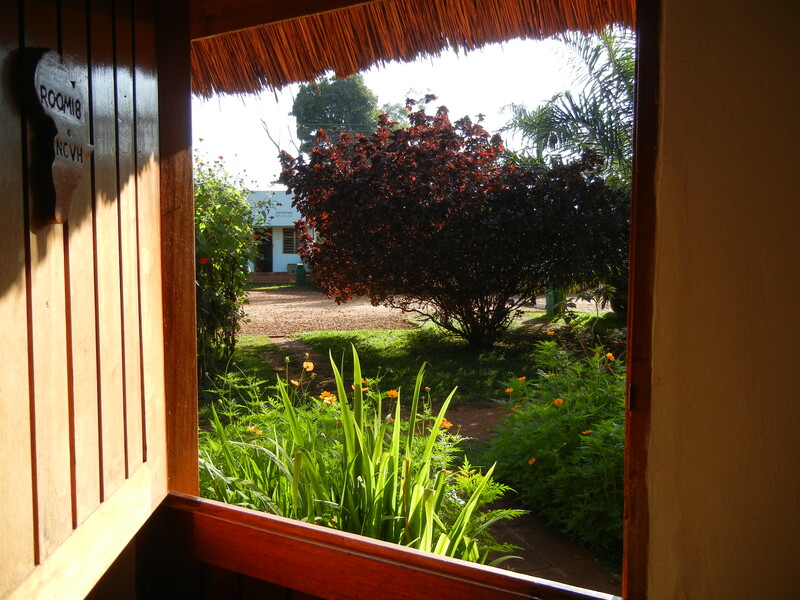 This entry was posted in My Safari (My Journey/Adventure) and tagged Masindi, New Court View Hotel, Uganda. Bookmark the permalink. Than you for your update. Your accomadations look nice. Hope you saw some white rhinos.